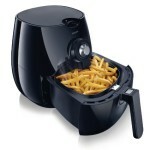 There has been lots of news going around about how great air fryers are and why we all need to have one. 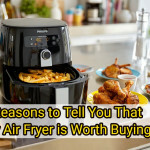 However, even with the numerous praise the appliance receives, there are still many people that feel that their air fryers are not doing as much as they hoped it would do. 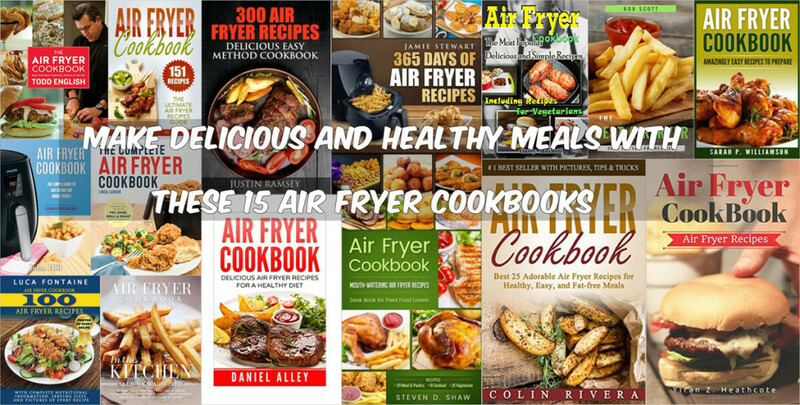 If you are yet to won a fryer or are wondering of exciting ways to use your air fryer, then it is time you considered getting an air fryer cookbook to boost you cooking skills with the appliance. All you need is just a little bit of inspiration and motivation from pros that have worked with the air fryers and you are set on a journey of delicious and healthy meals. The author of this book has an impressive profile that is reflected in 28 other cookbooks she has written. Linda Larsen has more than 25 years of experience developing recipes which guarantees of her competence. In this book, she introduces more possibilities and varieties that you can try out with your home air fryer. The Complete Air Fryer Cookbook is not just about frying; it introduces you to baking, grilling, roasting and steaming concepts. The book features over 100 recipes and teaches you basics like timing and temperature, oil options, and how to find the best appliance for you. 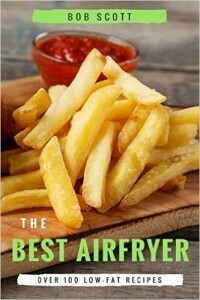 It is a comprehensive book that is well written and easy to follow that aims to help you use your air fryer for more interesting foods than just French fries alone. Daniel Alley is pleased to introduce you to healthy frying options without compromising on the taste, texture and flavour of your favorite foods. He compiles important and useful information on air frying to help you prepare healthy fried foods while reducing mess in the kitchen. The book is appealing to people of various cooking experience as it provides simple and easy to follow recipe instructions. The recipes cover every meal of the day that includes breakfast, main meals, desserts, side dishes and snacks as well. Alongside the delicious air fryer recipes, you will find pictures that motivate you even more to try out new dishes. With great focus on the air fryer and its benefits, this book takes you through how to make deep fried foods without spoiling your diet. You will also be introduced to basics on how to use and choose the right air fryer. It covers a wide range of recipes that are guaranteed to excite your taste buds as well as impress your friends and family. In total, the book includes 151 recipes that cover meals for the whole day. 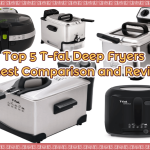 It gives you the pleasure of enjoying tasty and quality foods at the comfort of your home regardless of your experience with using an air fryer. You will appreciate that the book is clearly written and includes American measuring units for an easy time in the kitchen. Are you tired of making the same boring meals day in day out? 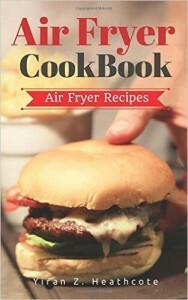 Then this cookbook is just what you need to discover the numerous possibilities you have with your air fryer. 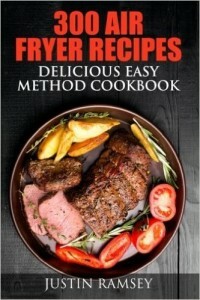 The Amazingly Easy Recipes to Prepare cookbook covers a step by step guide on how to make more out of your air fryer and prepare healthier and tastier meals. It features practical explanations and easy to implement recipes that will help boost your confidence and enthusiasm in the kitchen. Sarah P. Williamson guarantees that the recipes featured in the book are tested and have worked for thousands of people. You simply have to be open minded and be ready to learn tips and tricks that will develop your cooking skills with the air fryer. This cookbook is designed to help owners of air fryers add exciting varieties to their menu and those that are yet to own one have enough information to make a wise buy. 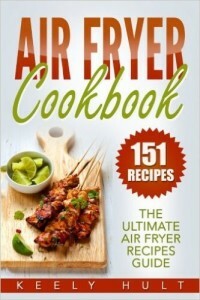 Most of the information contained in the book is very helpful in helping you find your way around your air fryer. The recipes included are easy to follow to ensure people with any level of cooking experience can still make tasty meals. The cookbook comes with a separate PDF file that contains photos of all the recipes. 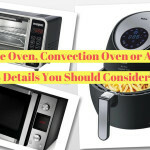 So while the book is filled with valuable information on air fryers and the various recipes you can try out, the PDF file shows you what to expect from every recipe. Air fried foods do not have to be boring anymore. This amazing cookbook by Steven D. Shaw introduces you to some delicious, quick and easy recipes you can achieve with your air fryer. Designed for beginners and pros alike, the book is well organised with unique recipes accompanied by photos to make it interesting. The 50 recipes featured in the book are not only tasty but are also designed to be healthy with consideration for both vegetarians and meat eaters. All meals of the day such as breakfast, main meals, side dishes, dessert and snacks are covered by the recipes as well. 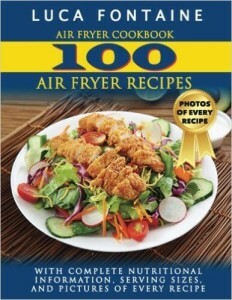 Enjoy meal ideas from Western, European, Asian and many more cuisines with this resourceful air frying cookbook. The book offers great value to readers as it is packed with a wide range of tasty and healthy recipes that can be easily prepared in the comfort of your kitchen. 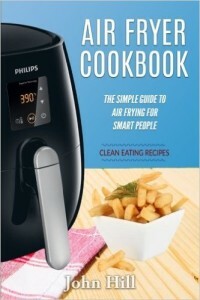 Readers will also learn how to take full advantage of their air fryers in creating simple to complex meals. The recipes are easy to follow giving you the enthusiasm to try out new dishes more often. There are 300 recipes featured in the book and thus there is plenty to keep readers busy and their taste buds excited for a long time. Living healthy does not meaning getting stuck up with boring meals, and if you are not convinced, it is time you picked up this cookbook by John Hill. The cookbook has all the information you need to start preparing healthy, delicious and easy meals using your air fryer. 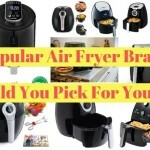 It begins with the basics on air fryers and their benefits, and then slowly indulges you in a variety of tasty recipes. 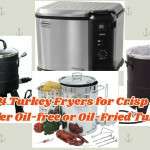 You will discover that there is more you can do with an air fryer besides frying foods, you can also bake, grill and roast foods thus adding variety to your menu. 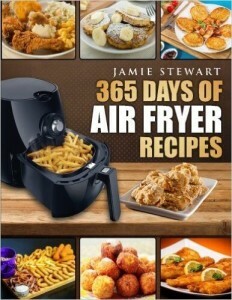 Therefore, if you are smart and looking forward to do more with your air fryer, this is the cookbook for you. Yes, you can now joy delicious deep-fried foods without having to worry about consuming too much fat. 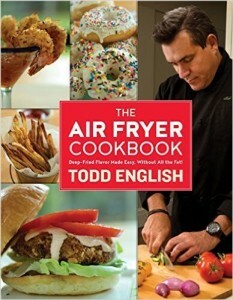 Todd English, the author of the book combines a variety of healthy and tasty deep fried recipes that include main dishes, appetizers, side dishes and desserts. The book has an interesting layout with easy to follow recipes accompanied by colourful photos. There are chapters dedicated to various types of meals which make navigating through the cookbook quite easy. Additionally, most of the featured recipes are easily applicable so that you can have something new to try out every day. 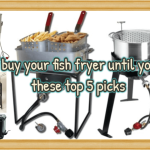 Are you new to air frying and are wondering where to begin? Did you just run out of ideas to use with your air fryer? 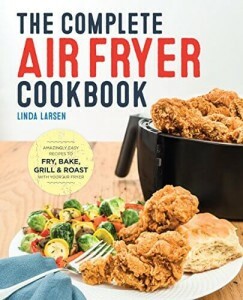 Well, this book is just what you need to get your air fryer up and running. The cookbook features over 100 tasty and healthy recipes that are easy to prepare and enough to keep your taste buds excited for a long time to come. What is even more exciting is that you will be using 70-80% less oil compared to other fryers and therefore you cut off a large proportion of fat from your meals. In addition, even with the reduced oil usage, the taste, texture and quality of food remains uncompromised. 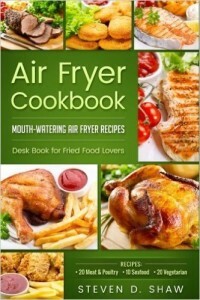 This is a valuable air fryer cookbook that features high quality tested and carefully picked recipes. The featured recipes are simple and easy to follow with tips on how to go about preparation and cooking. There are pictures included alongside each recipe and they are all taken by hand specifically for the recipes. The cookbook also comes with a satisfaction guarantee of within 7 days no question asked refund policy. This just shows you how much confidence the author has in the recipes. The book is divided into chapters that cover different types of meals which make it easy to scroll through and find the needed recipes. 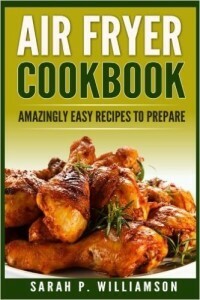 You can now become a pro around your air fryer through the invaluable information contained in this cookbook. It will now become easier to prepare appetizing home-made meals that contain low fat. 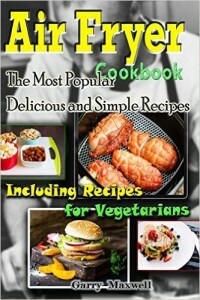 The book offers full cooking guidance and new and useful recipes that easy and quick to prepare. Besides just teaching you how to cook the book will also take you through the complete list of necessary ingredients needed for each recipe. Other valuable information provided includes cooking measurement conversions, cooking time and preparation time. You therefore get to enter the kitchen confidently as you are well equipped with all the information you need to prepare tasty meals with your air fryer. Do you want to have your cheat meals back on the menu without worrying about the amount of oil they contain? 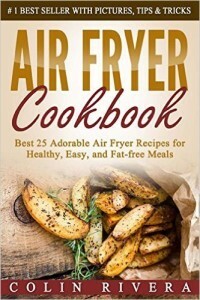 This cookbook introduces you to air fryer recipes that use up to 80% oil without affecting the end taste or texture of foods. This cookbook will guide you on how to prepare healthy and tasty pastries, vegetarian meals and other fried foods without the fear of putting on extra weight. Additionally, the book is well organised and does not just feature monotonous recipes but instead features interesting recipes that make you eager to want to try them out. 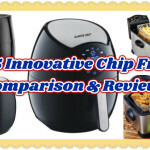 Are you stuck on what to do with the revolutionary air fryer? 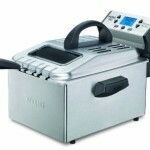 Do you know that you can use it to bake, grill, fry and steam without extra oil and calories? 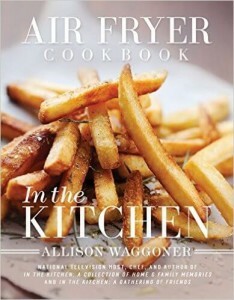 Well, this cookbook features inspiring recipes for your air fryer that you and your family will enjoy. The featured recipes are guaranteed to work with any model of air fryer and the result will be healthy and balanced meals that require little or no hassle to prepare. 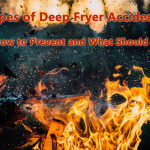 Besides teaching you how to go about the air fryer and how to prepare various meals, the book also has a Frequently Asked Question guide section that answers any queries you may have concerning air frying. The book also includes colourful pictures that show you what to expect from every recipe. 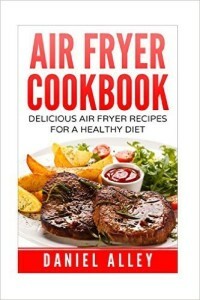 World renowned diet and nutrition expert Luca Fontaine has carefully picked some of his air fryer recipes and compiled then in this cookbook. The recipes have received great reviews from diners on various continents and now this book gives you the chance to prepare these world class meals in your kitchen. With 100 recipes featured, you are introduced to numerous delicious possibilities that you can try out for breakfast, lunch or dinner. The cookbook comes complete with nutritional information, serving sizes and attractive photos. Buying this book is not only an asset to your cooking skills but also an investment to your health. 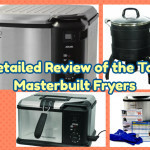 Having learned that there are several cookbooks available to guide you on using your air fryer, there is no need to be stuck up with the same old boring meals anymore. Get out of your comfort zone and find a suitable cookbook that will bring more flavor and taste into your kitchen without having to worry about consuming excess oil.